Three of the most important areas of a woman’s life are gently formulated in one place to challenge, hold accountable and encourage women to discipline their emotional, physical and spiritual life into a better sense of health. Health is a gift from God, so we cannot take it for granted or squander it. This book will help women focus on all aspects of healthy living and embrace those principles to bring balance to their lives. Whatever you eat or drink or whatever you do, you must do all for the glory of God. 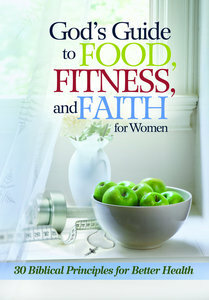 About "God's Guide to Food, Fitness, and Faith For Women"